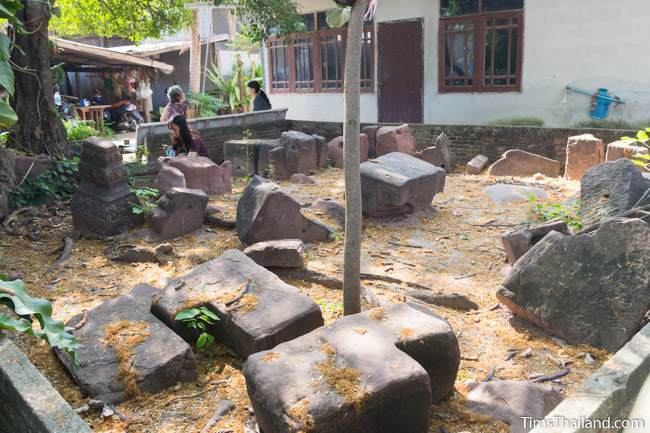 In Thailand there are many Khmer ruins inside villages, but Ku Ban Hua Sa (กู่บ้านหัวสระ) is the first I have visited that is literally in someone's backyard. Although rather than an actual ruin, it's just a gathering of various sandstone and laterite blocks, some for building walls and others carved for decorative trim. A few carvings in better condition were removed by the Fine Arts Department for safe keeping. 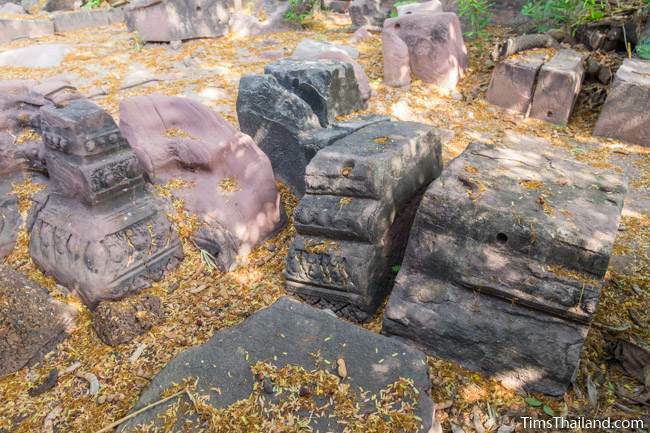 A few more sandstone pieces are kept near the loudspeaker tower at Wat Soon Ton Sarawat, 150 meters to the east. 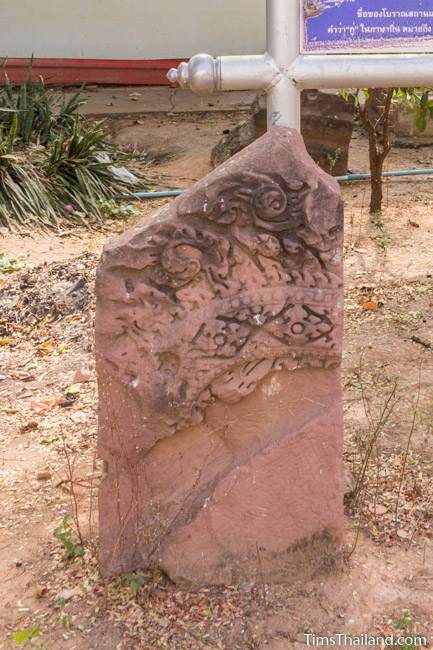 A fragment of a lintel here is pretty clearly Baphuon style, which means the temple was probably built in the 11th century, though it could have been later. 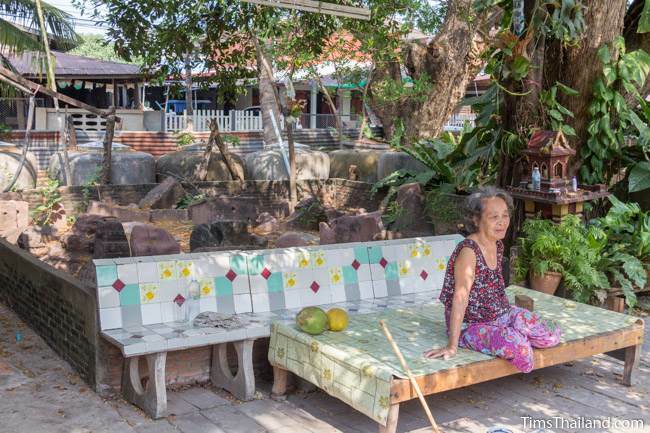 One of the elder monks remembers seeing the temple's laterite enclosure when he was young, but does not know what happened to all the blocks since then. It is known, however, that the temple faced east, towards the baray, which is still in use.